This episode of SLUG Mag Soundwaves features Chris Corry of Magic Circle. Corry talks about the history of the band, their new album, Journey Blind, and the doom bands that inspire their music. Magic Circle have been ripping up the stereos of metalheads across the nation since the release of their 2012 demo, and they don’t intend to stop now. These Bostonian doom metallers wield the might and fury of classic riffs, this five-piece outfit is stirring up some serious interest among the heavy metal faithful. Their self-titled debut dropped like a 400-ton slab of pure, hard-rockin’ doom metal back in 2013. 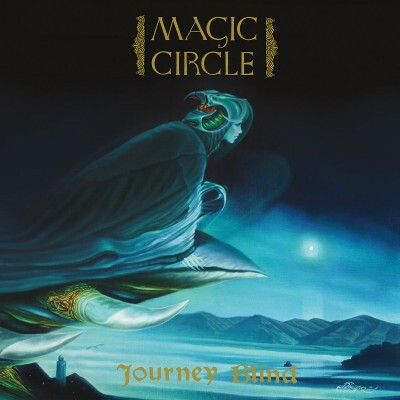 Now, with the release of Journey Blind, Magic Circle have pushed further into the raucous realms of rock n’ roll. None of these guys are strangers to the stage, but it’s their impressive punk rock pedigrees that set them apart from your average band of metal warriors. Hailing from bands such as Battle Ruins, Mind Eraser, No Tolerance and Prisoner Abuse, the members of Magic Circle have spent much of their careers creating solid tunes in the Boston area. However, their entry into the Book of Heavy Metal is nothing less than the genuine article—if anything, their music is tempered and improved by the restless passion of their punk backgrounds. Magic Circle have carved out a strong underground following for themselves among those who love their music loud and true. If you’re a fan of the band, or just looking for some great new tunes, check out this edition of SLUG Soundwaves! Thanks for listening to SLUG Mag Soundwaves. Send us suggestions of what you’d like to hear on the show by emailing us at soundwaves@slugmag.com.